A luxurious living room furnished with cozy sofa and wide screen Television experience. A state of the art wooden finished dining table with all necessary add ons atop. 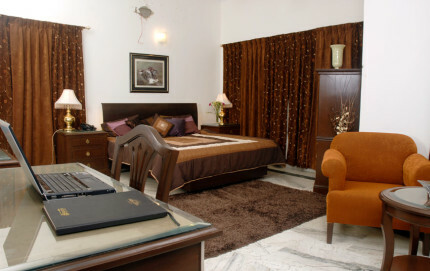 Fully Furnished, Luxurious and cozy Bedrooms with attached bathrooms. 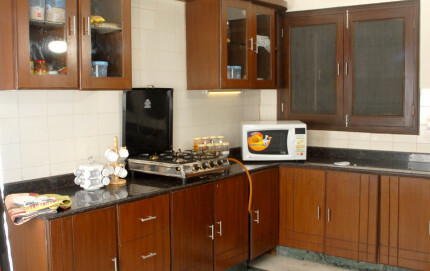 A fully equipped self to do kitchen with a bouquet of all modern facilities of cooking. 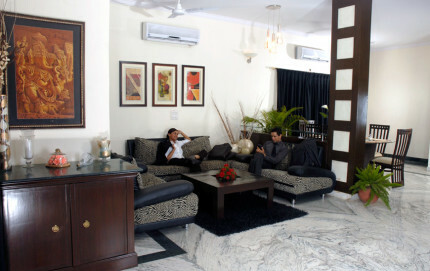 We also provide accommodation rental for Medical Tourist, which they visit India for their medical and relaxation needs. Most common treatments are heart surgery, knee transplant, cosmetic surgery and dental care. Copyright © 2016 Stemwood Apartments, New Delhi India. | Developed by Abacus Desk.